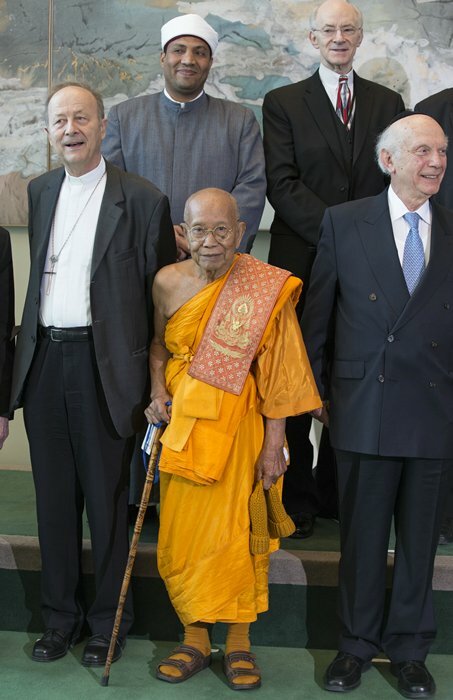 United Nations, New York, USA, April 22 2015 – General Assembly high-level debate on Promoting Religion Tolerance and Reconciliation: Fostering Peaceful, Inclusive Societies and Countering Violent Extremism. 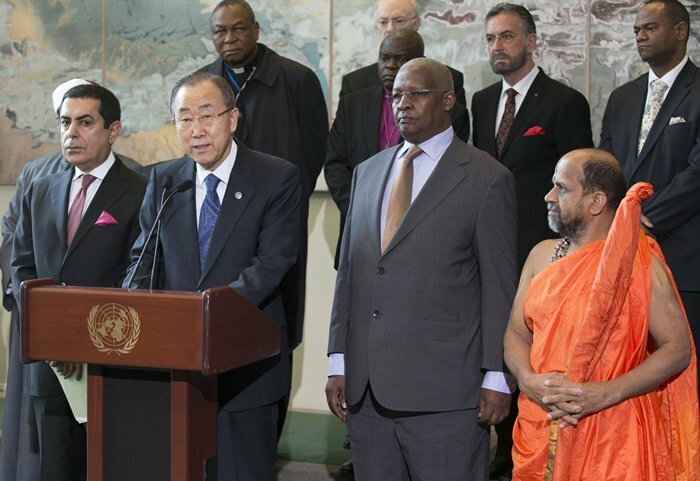 UN Secretary-General Ban Ki-moon said terrorists are misusing religion, and said good government was the remedy. “Missiles may kill terrorists, but I’m convinced that good governance is what will kill terrorism. That is why I urge you to speak out against human rights breaches and social injustices wherever you encounter them.” Ban told a High-Level Assembly meeting on Promoting Tolerance and Reconciliation, Fostering Peaceful, Inclusive Societies and Countering Violent Extremism, which opened yesterday and concludes today. United Nations, New York, USA, April 22 2015 – General Assembly high-level debate on Promoting Tolerance and Reconciliation: Fostering Peaceful, Inclusive Societies and Countering Violent Extremism. 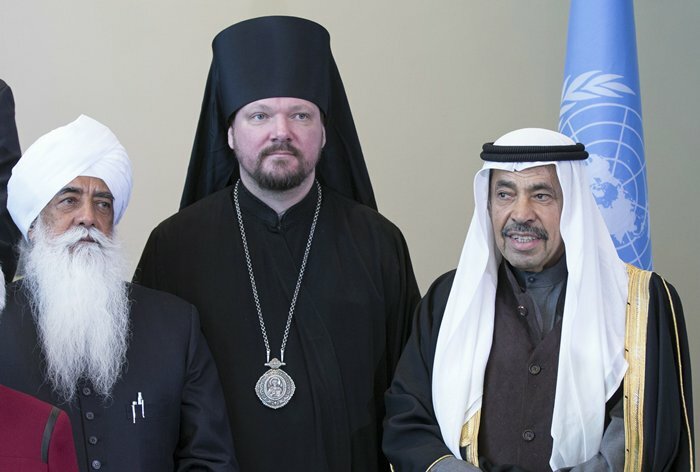 On the Photo: Bishop John of Naro-Fominsk of The Patriarchal Parishes, USA, Bhai Sahib, Bhai Mohinder Singh Ahluwalia, Shaeikh Abdul Aziz Saud Al-Babtain, Chairman of the Board of Trustees, Foundation of Abdulaziz Saud Al-Babtain’s Prize for Poetic Creativity. The gathering brought together leaders representing Islam, Judaism, Christianity as well as ministers, academics, clerics and spiritual leaders to discuss ways to foster peaceful, inclusive societies and counter violent extremism. In line with that agenda, according to Assembly President Sam Kutesa.